This is a fun 5 reel, 20 payline video slot game that comes with a light, flirty theme that will be enjoyed by both men and women players. The delightful icons include three delectable and fashionably dressed young women playfully posing and holding various cocktails. When these ladies form a winning combination they will treat players to flirtatious gestures such as winks and pouting kissing lip. Players may place bets from as little as 0.01c to as much as $1. Gamblers that would like to get their hands on the whopping 10,000 coin Jackpot that is up for grabs, will definitely want to wager the maximum. Players should look out for the Wild Beer icon which substitutes for any other icon to form a winning combination, except for the Dancing Girl Scatter and the Bonus Barman icons. 3 Dancing Girl Scatter on any reel will immediately reward players with a win. 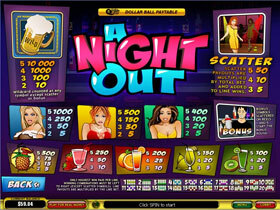 One of the most exciting features of this slot game is definitely the Bonus game. 2 Bonus Barmen appearing on reels 1 and 5 will trigger the bonus and the player must choose a dance partner from 6 beautiful women. The woman that is chosen will determine how many Free Spins a player will be awarded. Next, the player needs to buy his pretty partner a drink and if she likes the drink she will reward the player with a high multiplier that will go together with the Free Spin feature. 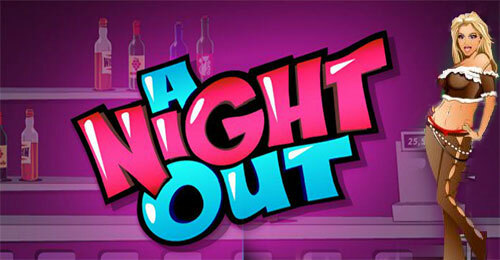 If players are looking for an entertaining night out from the comfort of your own home, then look no further.